Insurgent by Veronica Roth, the second in the Divergent series, was very well written. I feel the relationship between Beatrice (better known as Tris) and her instructor/boyfriend Four was very well thought out. This book made me yearn to read the last one quickly. 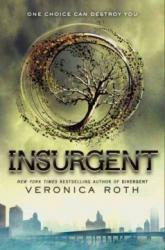 The book’s main plot was amazing, and Insurgent was absolutely amazing when it came to the developments of its characters. In Ember, the only sources of light are lampposts. The whole city depends heavily on electricity, and it just so happens to be running out of it. The city is dying, and everyone knows it. When Linda finds a letter, she's sure it's the secret to saving Ember. Unfortunately, it had been chewed up by her baby sister before she saw it. Linda and her friend, Doon, are determined to find out what the letter means. In the beginning, the novel doesn't say what, exactly, Ember is, except that it's a city, artificial light is the only light there is, and the only food to eat is canned. Because of that, the readers don't really know what the setting is, and that really makes the book mysterious as well as interesting. There wasn't really anything special about the characters, but finding out what was really going on was fun. It really felt like I was there with the characters, trying to solve the mystery together; Something about the novel made me very emotionally invested in it. Reading about the environment so familiar to the characters but so foreign to me was fascinating and enjoyable. 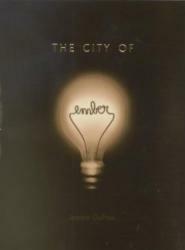 The City of Ember, to me, was one of a kind. The sense of adventure I felt when reading it, even though most of the story was in the same setting, was enchanting. I hope this review compels you to read it because it really is a great book. Jonas lives in a perfect world, but when he becomes the Receiver and is transferred memories from the past, he soon realizes that there are some serious issues with the way his "perfect world" is being run. It was cool to see Jonas, the main character, grow and develop as a person. In the beginning, he was as ignorant and naive as the rest of his peers, but he eventually matures and becomes aware of the problems around him. The way Lois Lowry described surroundings were very clever. For example, (this is a bit of a spoiler) Jonas's world was in only black and white and I didn't realize it for a very long time because the author didn't outright say it; that made me feel Jonas's confusion when he first sees color. It was really interesting reading about how Jonas's city functioned and what its rules were- it was very different from ours. The novel gave me a lot to think about; it made me wonder how much bad things we can eradicate until the eradication itself becomes a bad thing. The line between good and evil becomes more and more blurry the closer you get. 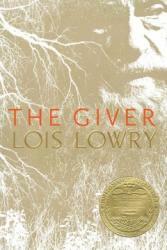 The Giver is a nice book to read and I recommend it! In Allegiant, the third and final addition of the Divergent series, Tris lives in a city of five factions, groups of people who believe in upholding and supporting one personality trait. Dauntless are brave, Amity are kind, Candor are honest, Abnegation, selfless, and Erudite intelligent. In the previous book, a video was sent out to Tris's city asking for people to come from the city out into the world and help the poor, suffering people. 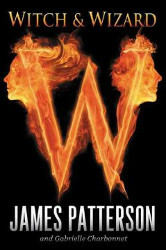 Tris and her friends want to go and see what the real world is like, but the factionless (people who failed to be accepted into a faction) took them as prisoners. They escaped and go out beyond the limits of the city. 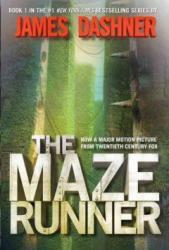 Tris discovers the truth behind her city and what the outsiders plan to do to it. Will she succeed in saving her friends from a horrible fate, or will she fail and have no friends to go back to? Find out by reading Allegiant. Allegiant perfectly explains the backstory of the city in the books. However, it is very different from the other two books in the Divergent series because it reveals the unexpected truth about the city. Overall, it is a very good book. 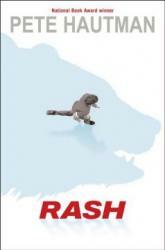 Rash is a book about a so called “perfect” society, where anything moderately dangerous is outlawed. After Bo has had a run in with the law for the third time he is sent to a work camp to serve time for his crimes. His old A.I from when he was in school promises him freedom. Can he do it? Meanwhile Bo runs into many dangerous things on his time in prison. Insurgent, Divergent's sequel, takes place in Chicago, in the distant future. In Chicago, there are five factions that each believe upholding and strengthening a certain aspect of people's personalities. People either devote their lives to one of the factions, or live factionless, empty. There is Abnegation, which is selfless, Candor, which is honest, Dauntless, brave, Amity, peaceful, and Erudite, intelligent. Tris, Insurgent's main character, is Divergent, which means she resists serums and can't be forced to think a certain way. Her boyfriend, Tobias, is also divergent. The Erudite want to kill all the Divergent, so they must hide their secret. Tris must fight the Divergent hating Erudite. After watching both of her parents die, she starts to go into depression and self doubt, not to mention the hard task of getting her best friend Christina to forgive her for doing a terrible thing. To destroy the Erudite, she must make sacrifices, even if it means she has to betray the one she loves the most to do what is right. This was an amazing book. 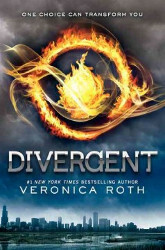 While not quite as good as Divergent, the book was still great! I would definitely recommend reading it. I saw the trailer for this book and I wanted to read it before I watched the movie. I was slightly disappointed when I read this. I was hoping for a cool, unique, different aspect of an alien book but I was wrong. The book was extremely confusing to read, I found myself reading over a page 5 times to understand where I was at in the book. The plot jumps around in different time periods so many times without warning. The annoyance I suffered from the book might be different from your perspective of the book. There was also a love story that was going to emerge but failed miserably. The only thing I enjoyed, which is why I gave this 3 stars, was the action portions. Even though the writing STYLE was confusing, the writing itself is quite intriguing, kind of like a poem. Once you understood where you are at, the action scenes pull you in but then it goes back to round one, which is boring, confusing, and annoying. 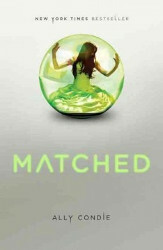 Matched by Ally Condie tells the story of a young girl living in a society where everything is chosen for you - who you are, where you live, who you marry. Cassia, the protagonist, is matched with her best friend - everything seems to be going great until it is discovered that she has also been Matched with another boy. This book had a lot of potential and an interesting concept, but I personally felt it didn't really deliver. The pacing was slow. There wasn't much tension. The characters were a little one-dimensional and cheesy. Although it wasn't one of my favorite books, it could make for a nice summer read. Atlantia is about a girl named Rio. The earth was polluted long ago, so to make a safe haven, the people made Atlantia, an underground city. However, the people below could not survive without some people staying above to farm, and send them supplies. Some people sacrificed their health below so that their loved ones could be healthy instead. This formed the two civilizations: Above and Below. 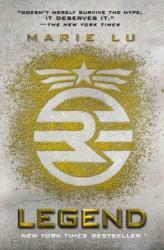 Rio has always dreamed of seeing the stars, the sun, the Above. When your 15 you are able to choose were you want to spend the rest of your life. Once you choose, you cannot go back. Rio’s dream of going above is crushed when her mother dies in a mysterious way, and her twin sister, Bay, makes her promise not to leave her, thus trapping her in Atlantia. When the time comes to choose, Rio goes first, being the older twin, and chooses the Below. However, to everyones surprise, Bay chooses to go Above, and abandons Rio with no explanation. True, the best friend of another boy who chose to go up, thinks he knows why his sister left Rio, and together, they find the truth, about more things then they were looking for. I first picked up this book, about two years ago, when Ally Condie was in Colorado for a book signing. As a volunteer at the library, I was at the event, and got my copy of Matched signed, and bought Atlantia and got that signed as well. I didn’t read it until quit recently. I especially enjoyed the book’s themes. 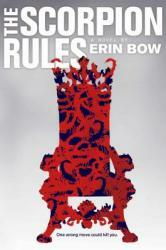 Unlike other YA novels, the focus on the book was not the romance, but the sisterly love instead. This made a great combination of the themes of love in the book. 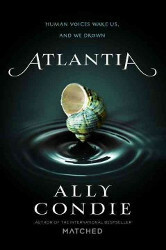 Atlantia always found a way to surprise me, and the plot twists kept on coming. Unlike Condie’s other books, the Matched series, this book wasn't overly romantic and predictable. I was defiantly not disappointed in the writing. Another thing, however, is the reason that Bay leaves does not fit the plot, and confuses me more than anything. Other than that, it was a very well put together book. Greta Stuart has been a hostage for most of her life. Well, technically, she's one of the "children of peace". You see, long ago, after the world was ravaged by the effects of global warming, an AI named Talis put himself in control, and decided to almost completely eradicate war by having the leader of each country turn over their heir to be a "child of peace" until the child reached the age of 18. Should that country go to war, the child will be killed. Greta's nation, the Pan Pols (Canada) are about to go to war over water, and Greta knows that her death is imminent. This book is hard to explain. Basically, the world-building is pretty detailed, but not without some holes (many of which are explained by the end of the book), and most of the first half of the book was spent explaining the world that Greta and her fellow hostages lived in. Also, Greta is the proverbial ice princess - she is fairly stoic, even in her own head, and so I didn't think she was very likable for the first half of the book. However, as the book progresses, Greta really comes into her own. Her stoicism and propriety have given her a certain amount of power in regards to the fellow children of peace, and it's really fun to see her step up and wield that power. And then, stuff goes terribly, horribly wrong, and the pacing and intrigue of the story really pick up. I'd give the first half of the book 2 stars, and the second half 5. So, over all, like a 3.5 or something. By the end, I was loving it. 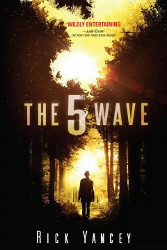 If you like really complex dystopian novels (this is more like 1984 than Divergent), then this one is not to be missed. 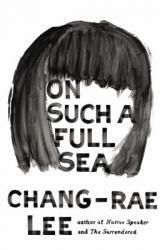 On Such a Full Sea opens in a futuristic Baltimore (“B-Mor”). The protagonist, Fan, is the descendant of refugees from a Chinese city whose population was transplanted to America to work in fisheries after the complete environmental collapse of their homeland. The US at this time is in crisis, with limited resources divided unevenly among the heavily stratified classes. There’s a very rare chance for children to be “promoted” into the upper classes via a national exam, as indeed Fan’s brother was, but most of the country lives in labor colonies and has their career set at birth -- in the government-controlled regions, that is. Outside the carefully controlled urban production centers, there’s nothing but lawless wilderness across most of the country (the so-called “open counties”). The plot kicks off when Fan’s boyfriend (and father of her unborn child) goes missing -- possibly taken by government officials -- and she sets out into the wild open counties outside of B-Mor to search for him, encountering a bizarre, violent world. Fan is a bit flat -- in fact, nearly all of the characters are -- but what really stood out was the way the story was narrated. It’s told not from Fan’s perspective but from the point of view of the community back in B-Mor, always speaking as “we”. The narrator relates to us the legend that has grown up around Fan since her escape, speculating on what it was about her and this incident that sparked so much fascination -- and briefly protest -- in an otherwise defeated community. What we “learn” about Fan’s adventures is thus largely a compilation of the stories that have grown up around her since she left B-Mor. Her characterization makes a bit more sense when you think of her as a folk hero, but some readers may dislike the lack of insight into what she’s thinking or feeling. We move back and forth between events in B-Mor and episodes in Fan's search for her boyfriend, which (despite the weaknesses I mentioned) were inventive and compelling. It’s not an entirely original setting, and the narration style was a bit (okay, a lot) off-putting at first, but the writing itself was beautiful and I ended up enjoying it much more than I had expected. If you like dystopian fiction, I’d recommend giving this book a try. I had originally picked this book to read because the movie is very popular. I thought that the book would live up to the hype the movie had. It wasn't a bad book by any means, I was just expecting more. Most of the parts were predictable, but there were one or two things that weren't. It had fairly easy vocabulary considering how long the book was. I felt that this book was more geared toward guys with its derogatory terms like "klunk"(poop). Overall, this is an average dystopian book. A plague ripples throughout the cities, fatal to anyone who has caught it for too long. No one wonders where they come from; the bigger issue is the war. A new recruit, top in her class, is too blind to notice. A boy, Day, is on the run, he’s resourceful, cunning. The two are unlucky enough to cross paths on a dangerous adventure. I give this a 5/5, it is an emotional roller-coaster all the way. This novel is about Eva Nine, a girl who had lived underground her whole life, training to be able to survive on the Earth's surface. Everything changes when a beast destroys her underground home; she was forced to run to the surface, but everything she learned about the earth from her training underground doesn't seem to apply to what she actually experienced. 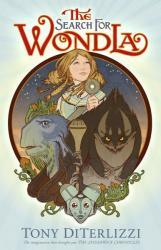 I really enjoyed reading this book because Tony DiTerlizzi (the author) put a lot of effort into making The Search for Wondla's universe; he described everything very thoroughly and even had pictures in the novel as a visual aid to help the readers imagine what he was trying to convey. The made-up contraptions, plants, and animals in the story were all very unique and I was impressed by the creativity and the thought put into them. Because of all of the detailed descriptions, it can be a bit overwhelming for some readers. I don't recommend this book to those who tend to skim, because if you do, you will end up confused and unsatisfied with the story. The illustrations were absolutely fantastic and really tied the book together. The art made me feel like I was actually there with the main character and seeing what she was seeing. This book is a very good example of adventure and fantasy, but I feel that The Search for Wondla had a little bit of everything mixed into it to make something amazing. The writing was a bit awkward and not as fluid as it could have been on some parts, which can be noticed by more experienced readers, but it was fairly easy to get past. The Search for Wondla is a great book and I could not stop after I started reading it. Tobias Eaton - known as "Four" - tells his full story in a collection of short stories before the events of Divergent take place. Abused by his father, Tobias wishes to leave his faction, Abnegation, to escape his miserable life. When he joins Dauntless in the hopes of making a new life, he incidentally discovers dark secrets within the faction...secrets regarding Divergents. This book was great! 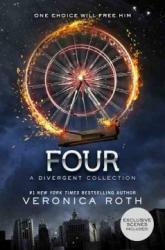 I liked hearing more about Four, who didn't have quite enough time to tell his whole story in Divergent. We also learn a great deal about the corruption within the factions. 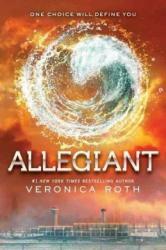 It gave a fresh perspective on the Divergent world overall. It was excellent. Mare Bellow's blood is red, which marks her for a life in poverty at best, and a brutal death on the front lines of a war she didn't ask for, at worst. She lives under the harsh rule of the Silvers, folks with special powers (mostly elemental, though some are X-men like). Later, surprise surprise, she finds out that she has special powers too and her life is upended. Confession: I tried to read this book like 5 times. I finally got through it. I should've stopped trying. This book is one big, cliched, full of plot holes mess, there's a seriously stupid, unlikable, mean (and not even in a fun way) main character. In addition to an unoriginal plot and vapid characters, the writing is not stellar. I can see a certain type of reader enjoying it, but it certainly wasn't for me. Witch and Wizard is an extravagant book for young adults and teens. From a kidnapping to an evil tyrant, Whit and Wisty Allgood can't accept the fact that they are the children from the proficy, the children with powers, the children destined to save and rule the world. James Patterson takes his readers on an adventure that you can't put down. 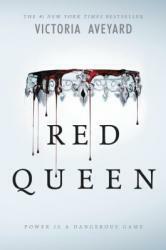 This book was unpredictable and left me wanting more from the very beginning. This is one of the best books of I have read since fourth grade and I've read a lot. On my free time I will go to a bookstore and grab as many books as my arms can carry and this time I tried to find as many James Patterson books as I could and this book was yelling my name from across the room. This book captivated me within just the first paragraph. The language and content flashbacks kept me engaged to the end. Whit and Wisty will do much more than keep you intrigued, they will keep you close through the whole series. I would rate this book five of five stars and I would recommend this book to teens from ages 11-15.
a metal grill leading down into a dark tunnel from the Unmentionable Times, the ancient period prior to the establishment of the present society. For the next 2 years, he does secret experiments down in this tunnel and discovers electricity, but when he shows it to the World Council of Scholars, he is rejected and must escape from being persecuted. 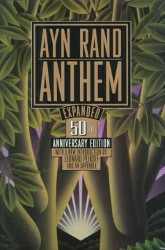 I love Anthem by Ayn Rand because it talks about a dystopian society and about a curious mind that defies the government and learns something great. The beginning is boring and is of backstory, but from there it becomes so interesting that it feels like you are there with the main character. Also it’s a short book for those who hate 800 page books and want a quick read for school or just to kill some free time.